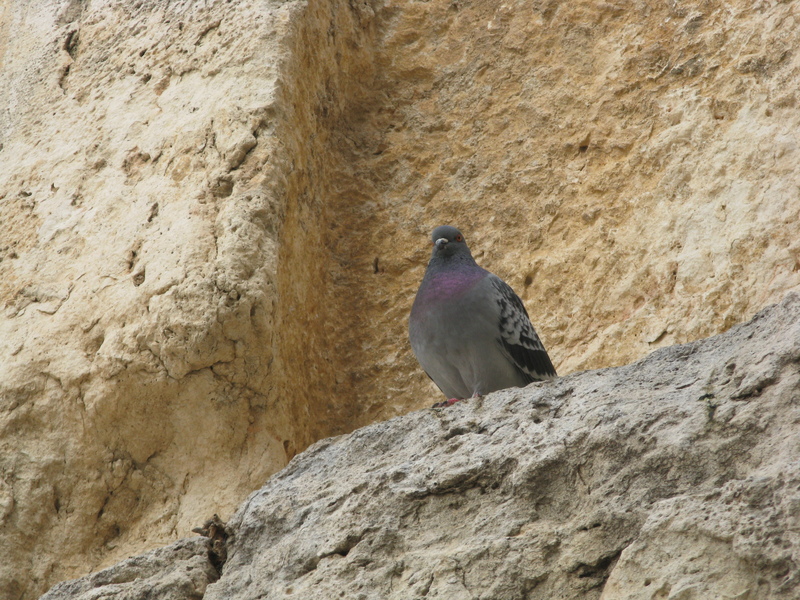 A bird on the Western Wall, the only part of the Second Temple to survive. In the time of Jesus, Rome was a world power. Its empire stretched from Britain to Armenia, and its military might was unrivaled. Roman control brought roads, aqueducts, arts, and engineering to its conquered territories, but it was also brutal in enforcing its dominance. “When they make a desert, they call it peace,” wrote Tacitus. Pilate was indifferent to religious matters; what he cared about was whether Jesus was a political threat in an area that was no stranger to conflict. The Canaanites, Philistines, Egyptians, Hebrews, Babylonians, and Greeks, among others, had all fought and held the city at one time or another. In the end the Romans would end by destroying much of the Jerusalem and the Second Temple in 70 A.D. after a massive revolt—a destruction so thorough that only the foundation of the Temple remains. Given this violent history, and all that followed through the Crusades and into the present, it can sometimes feel frustrating to pray for peace, and news from the area can create a sense of helplessness. We must not forget, however, that in that judgment scene, the eventual victor was the silent, seemingly powerless Jesus. And God is still present in all that occurs.